As a nation, our dependence on prescription drugs continues to climb. 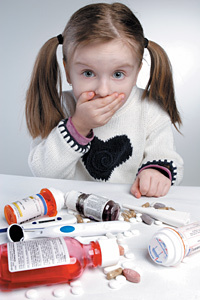 Even kids are heavily medicated, with over 25% of children being on some type of prescription drug, wheather it be antidepressants, antipsychotics, or ADHD pills. Prescription sleep aids, called hypnotics, are also being tossed back at an alarming rate and with little thought to their negative effects. One recent study revealed that these pills may do more than help you get some zzz’s; they may kill you. According to the Alliance for Natural Health, 60 million prescriptions for sleeping pills were filled in 2011, that’s compared with 47 million in 2006. That’s due, in part, to the millions of people who have trouble sleeping. An estimated 70 million Americans struggle with insomnia and other sleep disorders. So, like every other modern ailment, the modern American visits their doctor for a “fix”. In this case, the “fix” is a class of drugs known as hypnotics. They help you sleep, but can also lead to nausea, dizziness, headaches, and addiction. But what many people don’t realize, is that they can also lead to premature death. According to a study published in the British Medical Journal, if you take a prescription sleep aid, even as little as 18 pills throughout the year, you increase your risk of premature death by four times. And if that isn’t bad enough—you increase your risk of cancer by 35%. It’s worth noting that the study didn’t find a cause and effect relationship here. In other words, scientists aren’t 100% sure that the pills lead to the problems. It could be that people who are more likely to take these prescription drugs are more likely to have other health problems overall. And that wouldn’t be a surprise. After all, sleep disorders like insomnia are directly tied to obesity, diabetes, and other chronic health conditions. But, the link cannot be ignored. If you turn to prescription sleep drugs, this should serve as a wake-up call. You can’t run to a prescription when your body shows symptoms of discord. Insomnia could be a symptom of stress, depression, or brought on by obesity. Determining the cause of the insomnia will help you better treat it without adding all of the risks that go with a hypnotic-drug regimen. In the mean time, try turning to herbal sleep remedies or natural sleep apnea treatments if you suffer from sleep apnea.